One for the ladies, one for the fellas. 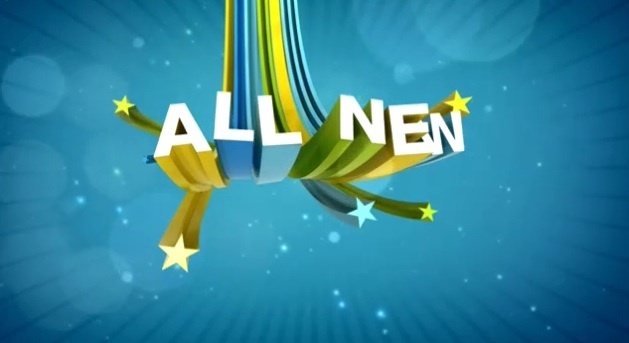 Published on September 27, 2010 in Nine Network, Seven Network and Videos: Idents. 4 Comments Tags: Seven Network, nine. 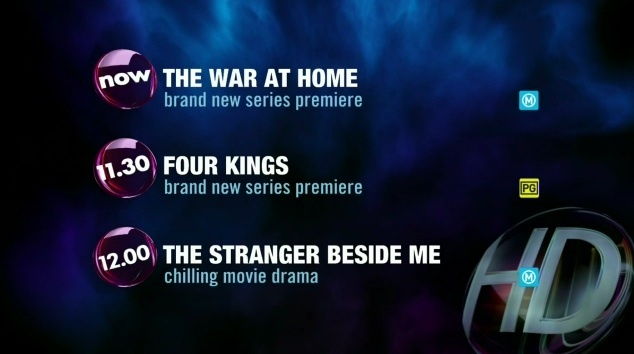 Gem from the Nine Network, and 7mate from the Seven Network both launched over the weekend, although not in that order. Long before digital multichannelling got too interesting in Australia I pondered how the commercial networks would approach the tricky task of extending their brands to multiple channels. Channel 4 have done a great job naming their portfolio of channels under the “4” brand, while the UKTV group have adopted individual brands for each of their many channels. 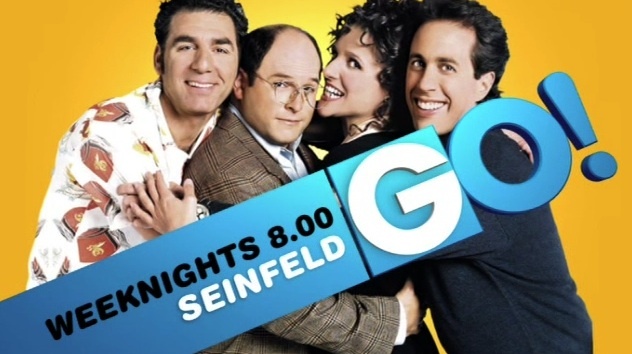 These two approaches are currently playing out in Australia, with the Seven Network now extending its brand name and logo to 7two and 7mate, while Channel Nine has launched Go! and Gem. Personally I think the impending launch of Eleven is the best branding we’ve seen on a commercial multichannel yet, but that said I’m pretty hot for any branding Channel Ten comes up with. As for this weekend Gem looks pretty and is a nice start, although perhaps something you might see on an inflight channel, 7mate on the other hand is less a brand and more of a punchline, so lets just say neither of them bowled me over. 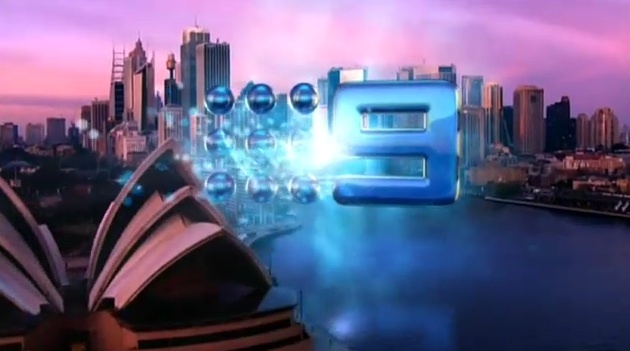 Published on August 9, 2009 in Nine Network and Videos: Idents. 5 Comments Tags: go!, nine. One of the great promises of digital multichanneling has always been the ability finally play out series with some regularity and respect to the audience. 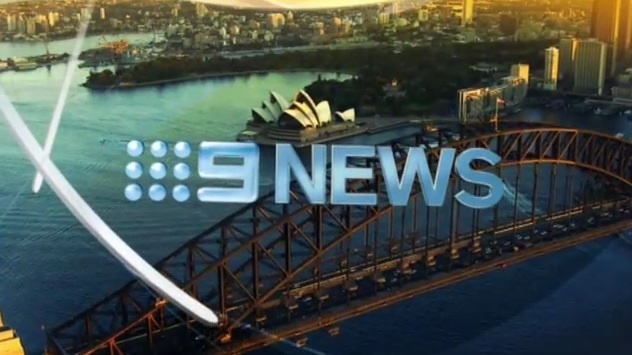 Channel Nine, the most middle of the road of the Australian networks flicked the switch on its new general entertainment digital channel tonight, with that promise at its core. And for a broadcaster that hasn’t shown much in the way of innovation lately, its only apt that best name they could come up with was Go! (I’m sure they’re aware of the riotous success the name has had as failed internet portal, and a defunct airline, but third time is a charm I’m sure). I would’ve loved to have seen the names they rejected..
Australia’s Funniest Home Videos.. still not funny. Published on March 8, 2009 in Nine Network and Videos: Openings. 14 Comments Tags: nine. Australia’s Funniest Home Videos now has one redeeming feature.. this swish new title sequence and its very cool spaghetti lettering. – Thanks for the video Alex, and sorry again for.. well you know. Baz Luhrmann’s Australia.. the ident. 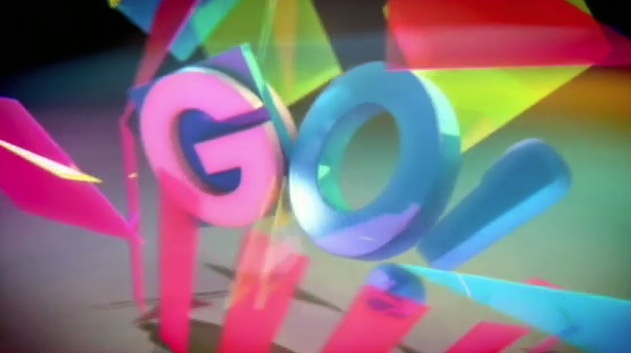 Published on November 30, 2008 in Nine Network and Videos: Idents. 5 Comments Tags: australia, nine. 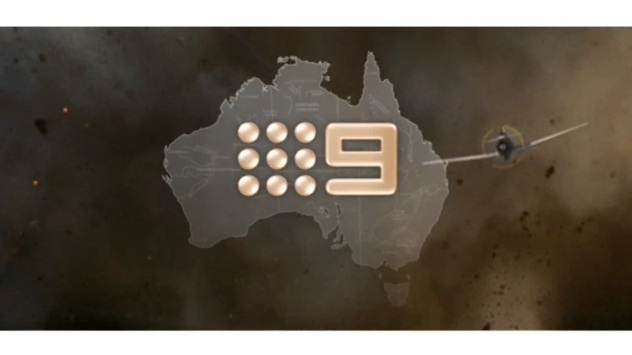 As part of the massive marketing effort to promote to Baz Luhrmann’s new flick Australia, the Nine Network has been running a series of line-ups and idents themed around the movie. The odd combination of an epic film, and a line up featuring Two and a Half Men doesn’t exactly make sense, but very little does on Nine. 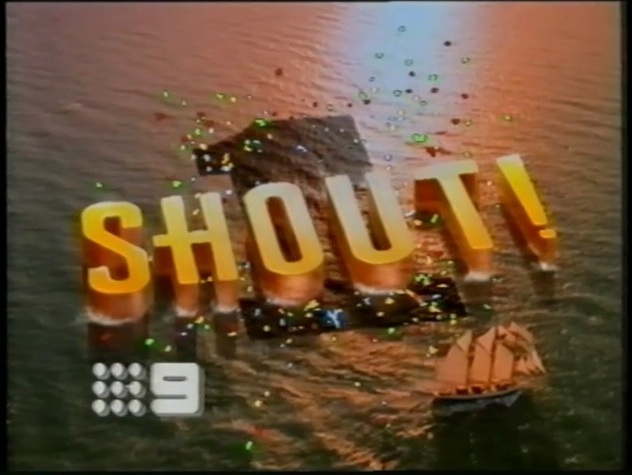 Shouting at Channel Nine. It’s a national pastime. Published on August 30, 2008 in Nine Network and Videos: Promos. 6 Comments Tags: nine. “You make me want to shout”.. is not a slogan I would associate with a television network, there are just too many ways to turn it around on them. But then again this hilariously bad promo for Channel Nine is 18 years old, coming to us from 1990. And perhaps back then, times were simpler, and marketing departments didn’t have to worry about what bloggers would say about them. – Thanks to Sam for digging this up from the archives. You’re (finally) watching Nine HD. Published on March 25, 2008 in Nine Network and Videos: Idents. 14 Comments Tags: , hd, nine. 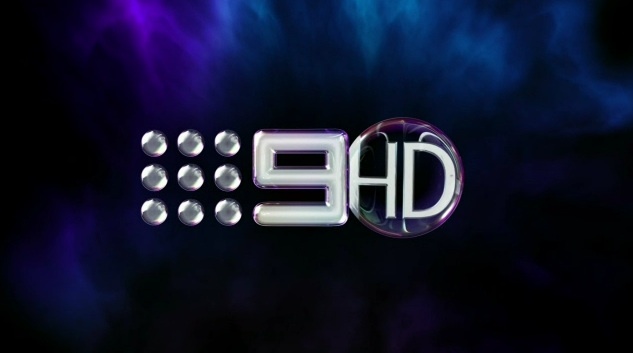 Last week Channel Nine became the last of the commercial networks to begin broadcasting breakaway programming on their HD channel. Nine HD joins the heavily promoted Ten HD, and the first on the scene 7HD. While its very much early days for multichanneling in Australia, the real fun should begin January 1st next year when the networks get the chance to start broadcasting additional SD channels, and finally fulfilling the promise of digital television by hopefully embracing UK style multichanneling… e7, TenTwo, 9b etc. Nine gets nostalgic with WWOS relaunch. Published on March 23, 2008 in Nine Network and Videos: Openings. 1 Comment Tags: nine, sport. Channel Nine rebooted its Wide World of Sports franchise last Sunday and opened its first episode back in a over a decade with a look back at the shows history and various opening sequences. – Big thanks to Christian for the video, much appreciated. Why did Channel Nine cross the road?.. Published on January 14, 2008 in Nine Network. 27 Comments Tags: nine. …to get to the middle. And thus sums up my opinion of Channel Nine’s relaunch of their on-air look. One day a commercial network in Australia will do something interesting or a touch daring with their appearance, but today is not that day. The screenshot above is just one of the many generic images that litter this video. To check out some genuinely innovative and creative idents have a look at S4/C from Wales, good od’ BBC One, the always entertaining Channel 4, or how about even MTV South America or Australia’s SBS back when they played idents.